The Govt. of India has launched a unique scheme to facilitate low interest crop loans to the farmers of the nation. This scheme is named as the Interest Subvention Scheme. The scheme’s recommendation has been approved by the union cabinet under the chairmanship of Hon’ble Prime Minister of India, Shri Narendra Modi. This scheme will be applicable for the financial year of 2016 – 2017. This unique crop loan scheme will help the farmers to get easy loans for their cultivation at very low interest rate, than the other crop loan schemes available in the market. But the scheme condition is that, they must repay the loan within time to avoid extra loan interest burden. The rate of interest on short term crop loan provided by the central govt. under this scheme will be subsidised to 4 per cent per annum for the current fiscal of 2016 – 2017. The time of repayment of the loan amount under this scheme is within the span of one year. The maximum amount, a farmer can get loan under this subsidised rate is Rs. 3 lakh. At present the rate of interest on such short term crop loans is 9 per cent which can be availed by the farmers. After the scheme comes into effect, the farmers will get 5 per cent interest deduction on their crop loan amount. If the farmer does not repay the loan amount within the time frame, i.e. within one year of loan sanction, then the interest subsidy will get reduced. The interest subsidy of 5 per cent will be made 2 per cent. This makes the implemented rate of interest as 7 per cent for late payment. Thus the farmers should repay the loan in time to get full benefit of the scheme. The rate of interest for loans to farmers suffering from natural calamities will also be subsidized to 7 per cent. This means, the subsidy rate is 2 per cent. The effective time of loan payment is 6 months. The banks and financial institutions are included in the scheme to provide the interest subvention. 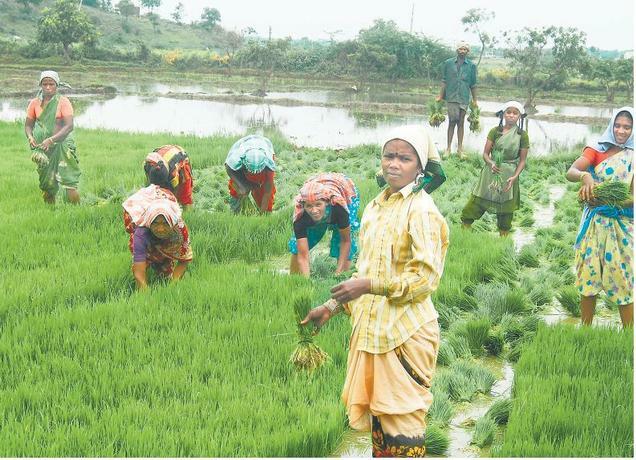 In our country, there are thousands of marginal farmers as well as small scale farmers who perform their cultivation on a very limited land and have a very limited production. After the cultivation of their farms, they were supposed to take loans from the financial institutions at 9 per cent rate of interest in order to facilitate storage after harvesting. The govt. under the proposed interest rate subvention plan will reduce the rate of interest to 7 per cent. This subsidized rate will be applicable for the loans up to a maximum of 6 months, from the date of sanction. Crops getting destroyed due to natural calamities are a common occurrence in the country. Many farmers suffer due to the uninvited natural disasters like floods, droughts, landslides, natural fire, low rainfall, earthquake, etc. Their cultivated crops get totally damaged and they do not get any financial advance out of it. To fight this menace, the Govt. of India has announced to give subvention on the rate of interest to those farmers who apply for loans after their crops gets damaged due to these natural calamities. Interest subvention of 2 per cent will be provided by the banks and financial institutions for the initial year. In case the short term basis crop loans are not repaid within the time frame i.e. within the period of one year, the govt. will reduce the subsidy it was giving. In this case, the subsidy will be only 2 per cent, instead of the proposed 5 per cent. This means, for late payment, the farmers will have to shell out interest rate of 7 per cent per annum. For implementing this proposed interest subsidy on crop loans for farmers of the country, the Govt. has set up an adequate fund. A total of Rs. 18,276 crore has been sanctioned for this project to be implemented in the current fiscal of 2016 – 2017. In the last fiscal, the credit target set for agricultural purposes for the financial institutions and banks was Rs. 8.5 lakh crore. This credit target has been raised to Rs. 9 lakh crore. For the first year of implementation of the scheme, the banks will be provided 2 per cent interest subvention. 1 Launch Date 5th July, 2016. 2 Purpose a. To provide interest subvention on short term crop loans to farmers. b. To provide the small and marginal farmers interest subsidy on loan for crop storage, post harvest. c. To provide financial benefit to farmers affected with natural calamities. 3 Key Person Scheme inaugurated by PM Narendra Modi. Governed by Ministry of Agriculture. 4 Target People Farmers affected by Natural Calamities, small and marginal farmers.